"Community engagement is an important goal not only of the Green Music Center but Sonoma State University as a whole," said Stan Nosek, interim co-executive director of the Green Music Center. 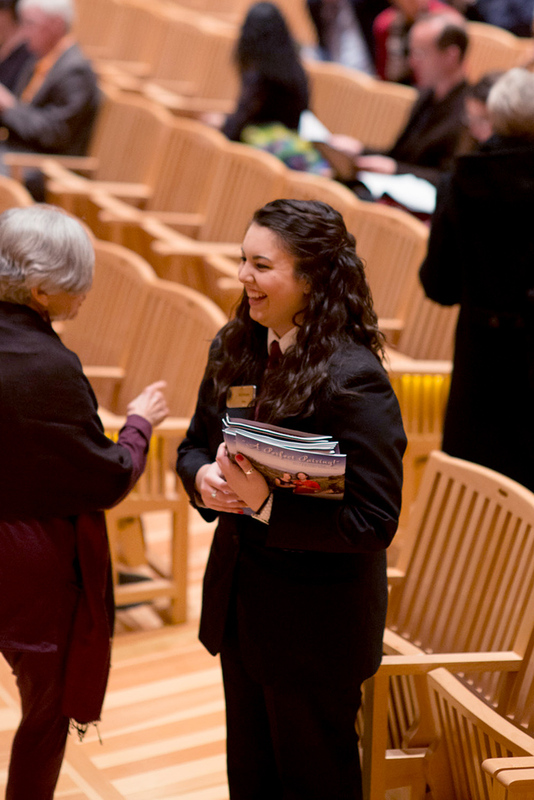 "A robust volunteer program is a key component to encourage community engagement at arts venues around the country and we're excited to launch this program at the Green Music Center this summer." The Green Music Center hosts over 250 performances every year, making it one of the busiest arts venues in the Bay Area. Each performance requires a number of patron services representatives to ensure a safe and enjoyable experience. The new program will offer volunteer opportunities including ushers, ticket takers and coat check attendants. "We are looking for volunteers who have a passion for the arts and for connecting with and caring for people, and have pride for upholding the quality of our region's premier, world-class arts venue," said Lori Hercs, director of guest services. Members of the volunteer program must meet certain requirements including being able to volunteer at least nine times per year (three summer, three fall and three winter). Info sessions for the general public (not students) will be held on May 18 and 25 at 2 p.m. in the Weill Hall lobby. Student info sessions will be held May 10 and 16 at 5 p.m. in Weill Hall lobby. For more information, visit gmc.sonoma.edu/volunteer or contact House Manager Andrew Cronomiz at cronomia@sonoma.edu or 707.664.3512.